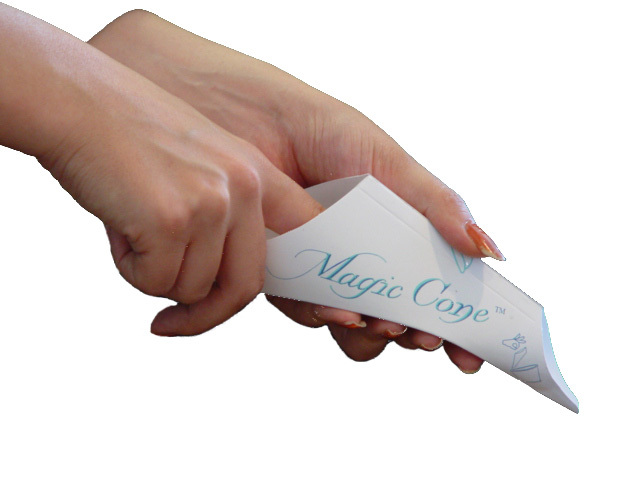 -Magic Cone is a patented disposable funnel shaped, waterproof cardboard device which allows women to urinate in a standing position without any hassle.Magic Cone can be a life saver when one has no access to a clean and hygienic toilet facility. --Magic Cone is here to help travellers, sport enthusiasts, women with different debilitating medical conditions and any women who has ever been faced with the inconvenience of having to use an unsanitary toilet. ---The present invention features a device to facilitate female urination from a standing position. A collapsible structure is readily expanded by pressing on two opposing edges. Once expanded, the device is held in its open state by a unique locking mechanism. Because a user does not need to exert continuous pressure on the device to keep it in an open, operable state, it is easier to use than other similar devices. The device may be cleaned, collapsed and stored for re-use or may be supplied as a single use, disposable unit. - This invention has been marketed previously, and it has a really great marketing potential. - the Trademark and website of this invention are associated with it. 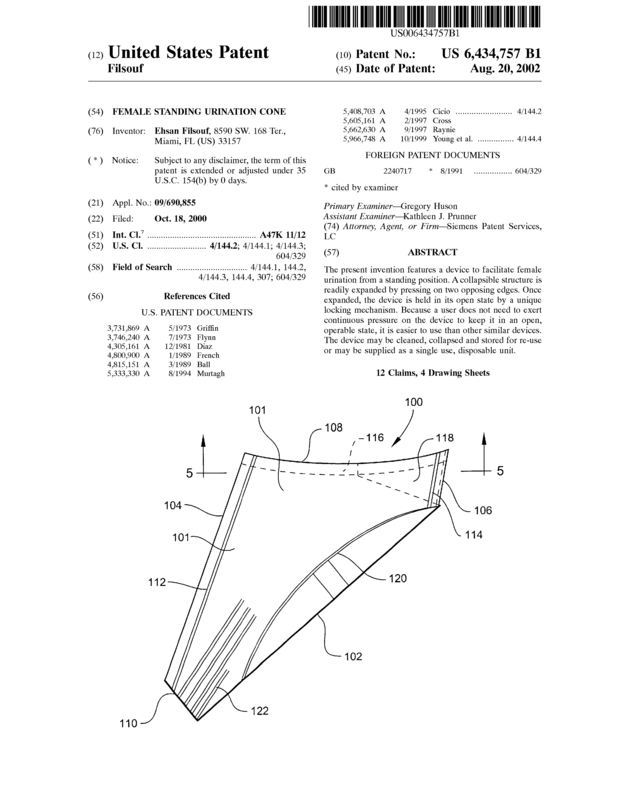 Page created at 2019-04-25 20:18:25, Patent Auction Time.